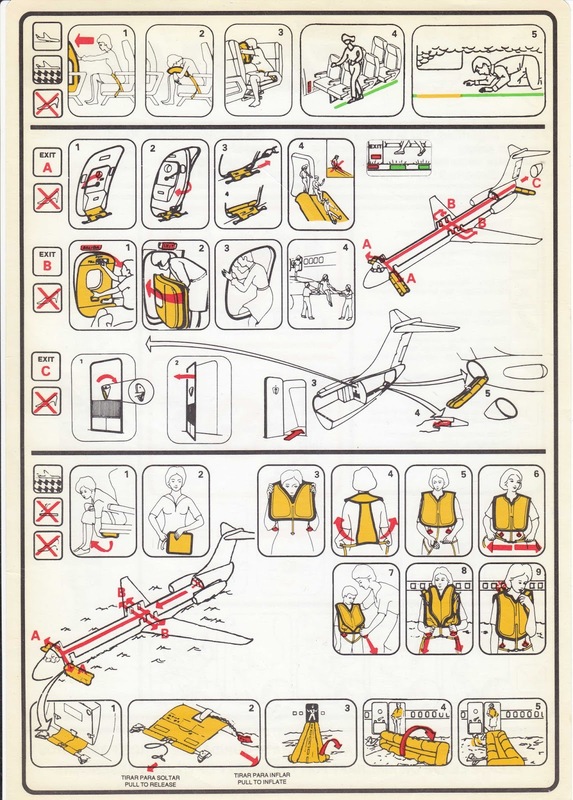 The webmaster at Runequest Redux, a blog about Role-playing games, has kindly sent me this scanned Aviaco DC-9 safety card, which is about 25 years old. He also says he has kept it since his first flight on one of these iconic blue birds that once flew most of Spanish domestic routes. 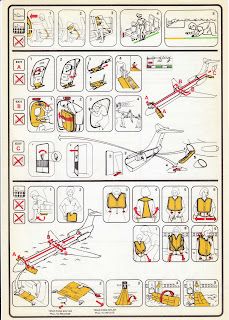 Actually, I think one of the first flights I can remember of was also aboard an Aviaco DC-9 between Vigo and Madrid. 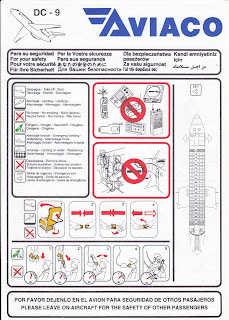 Aviaco which still means a lot for me and to some extent I guess it was a cultural icon.